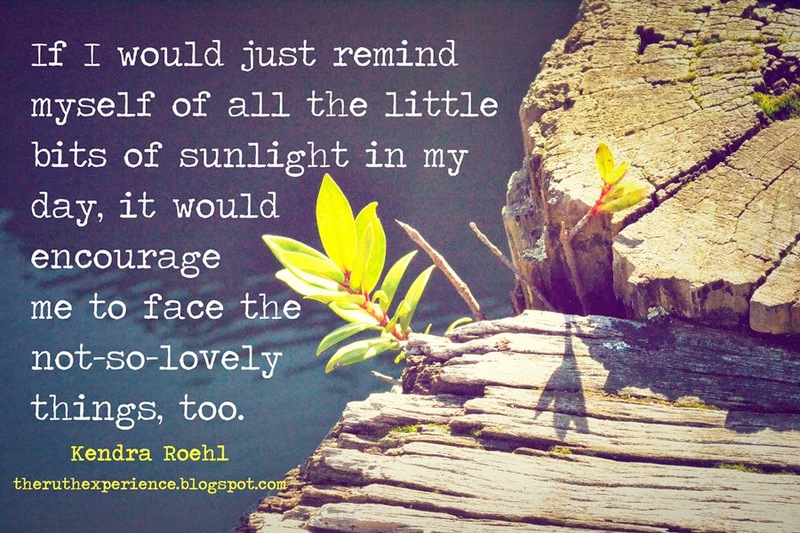 I want to spend more time in the sun, experiencing the good -- however small -- in each day. Today we're once again linking up with Holley Gerth and her Coffee for Your Heart. Psst! Only about 10 percent of people who like our page on Facebook see our posts in their feeds these days. If you want to not miss posts, the best thing to do is to subscribe via email. All you’ll get is an email with the link to a new blog post. No spam. You can unsubscribe at any time. What beautiful gifts! The sun is a literal spot of sunlight in my day today, after torrential downpours and strange, spotty weather the last 2 days. Finding those moments in the sun are so important to our well being and spiritual journey with God. My sunshine moment today was from a student who just absolutely made me smile because she exuded pure joy! So good!! !